I always have the hardest time designing and crafting a card/layout for the boys/Men in my life, so when I saw the challenge at Pixie Dust Studio - Boys Will Be Boys Challenge I froze. 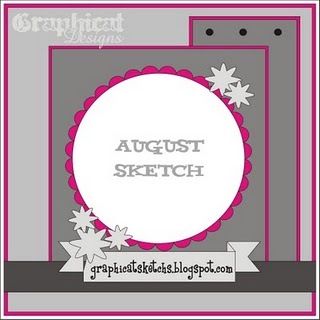 Then I remembered about a sketch challenge at Graphicat Sketchs Challenge - August I knew what to do. Awwww, that is so cute! Nice take on the sketch and thanx for joining us at Graphicat Sketch Challenges. Oh Carol I love it! Such a great boy card! I love boy cards! And Im so glad you joined us over at Graphicat Sketchs'!!! Your card is adorable! Thank you for joining the Graphicats!!! Have an awesome day!